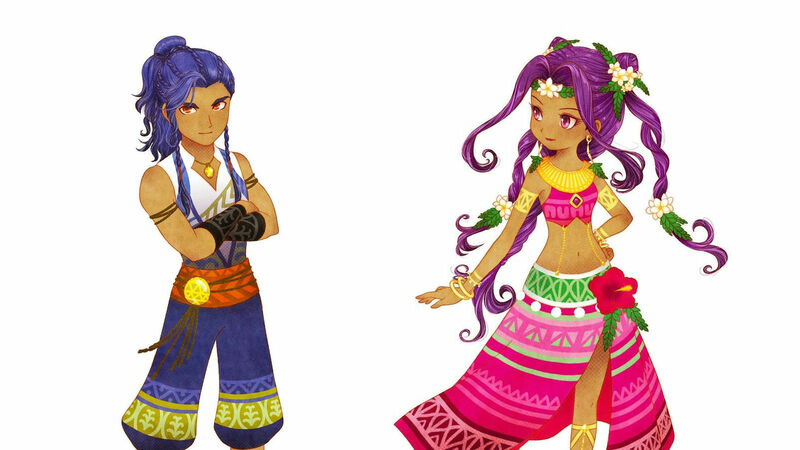 Of all the towns in the new Story of Seasons, Lulukoko is both the prettiest and the most confusing to keep track of. With a beautiful tropical theme, Lulukoko sits right on the beach and is home to lots of friendly people, including three more marriage candidates — Iluka, Siluka, and Ludus. This town is also home to a very important store called "Relacion," the Jack of All Trades. This is where you'll finally gain the ability to start expanding your home and your farm. It'll open right after the town does, and you'll be given a thorough tutorial on gathering materials and buying upgrades. Aside from that, Lulukoko is home to plenty of standard stores that sell new things to grow on your farm such as fruit trees. A far cry from the straightforward nature of Westown, many of Lulukoko's stores open early, close a bit before noon, and then open back up in the evening. By the time the new town opens up to you on the 15th of Spring, you'll be glad to finally get to meet some new people and see new places, but keeping track off all that can be frustrating. With that in mind, here's a handy guide to the odd store schedules of Lulukoko.